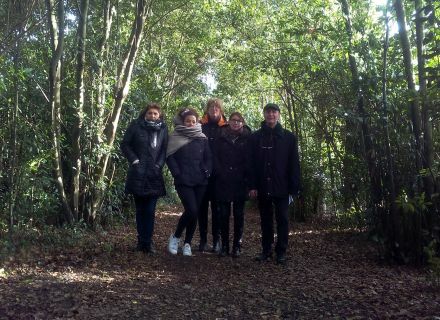 Home / Le blog / Our pad of discovery! In this wintry period, we are used to perfecting our knowledge of the territory: course towards the Swamp from Poitou and the Plain of Courance. First meeting of the morning: the former dairy to Coulon. Several spaces to be discovered for the gourmets and the gourmands! The shop and the canning factory " Saveurs du Marais poitevin ". It is about a workshop of transformation and sale of the local products of the association " Producteurs et gens du Marais poitevin " livened up by local craftsmen. For those who wish to know more about it on the chocolate, " The Embassy of the Cocoa ", museum of the chocolate and the angelica of Niort, proposes organized visit, workshop for the children and the big, the manufacturing, the tasting and the sale. And to quench thirst, " The Brasserie of the Swamp from Poitou ", factory of the famous beer named "Stubborn person". But, for us, no sauce in lumas, stuffed maraîchin or pâté of coypu, the chocolate desserts and other transformed hops! We penetrate into the premises which shelter Crégène, Academy of the genetic resources of the Atlantic western center. He assures the promotion and the valuation of 10 local races and 3 botanical species of the Swamp from Poitou, the former vegetables and the local seeds. Mister Botton-Vinet, vice-president of the association of the angelica of the Swamp from Poitou, reveals us all the secrets of this symbolic and magic plant of the swamp. We taste aiguillettes, sticks and pancake in the angelica a little early for the liqueur! The second stage: Bessines. We discover the park raised by Noisy where take place various demonstrations in particular the annual party of the angelica. At the risk of being thought of as visionaries, we meet the small green men! No panic, they do not come down from the sky! It is the artist Fabrice Hybert who is the author in 1989. These small green chaps 86 cms high installed on the network of water of the municipality (fountains spitting some water by all the physical openings) translate the narrow link existing between the maraîchin and the Swamp from Poitou. They are also present all around the world. 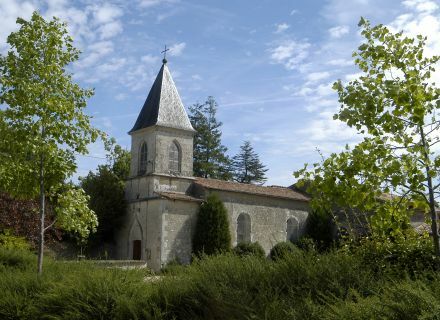 We perceive on the heights the Romanic church Saint-Caprais dating the 11th century. What you do not maybe know, it is that the municipality sheltered Jean Richard's native house, the only actor who interpreted all the inspectors Maigret of George Simenon. It is also the creator of the first European theme park " The sand sea " and the first entrepreneur of French circus. We leave towards Saint-Symphorien and its castle-city hall with its attractive park orangery leaned in the church. Visit of the village of Granzay-Gript and Frontenay-Rohan-Rohan. Do not miss the church Saint-Peter and the numerous wash houses and the fountains. Most testify of an architectural distinction exceeding their only feature and they assert themselves as real small public buildings. 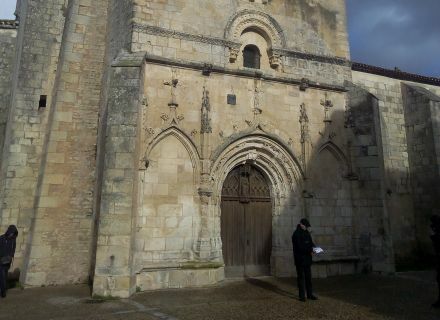 We arrive at Vallans, a place which would have frequented Saint-Louis. He would have come ask in the girl the parochial church " Notre-Dame of Vallans ". He would have contracted a miserable fever there and makes the wish leave for crusade if he cured. You will find in this village the park to Teurtous (in dialect: everybody) situated behind the city hall. A green lung of 3 hectares at the heart of the center village equipped with a public barbecue and with a tennis court. Ideal for the relaxation! 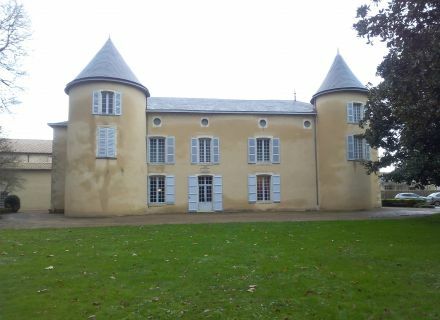 To see also the castle restored the former seigneury (at the heart of the village), the castle of Allerit (big rectangular classic building built in 1780, dovecote in the court and in the face of the house), the wash houses of the Village and Allerit. A few kilometers away from distance, Epannes also possesses an area of leisure activities. Our visit continues with Mauzé-sur-le-Mignon. 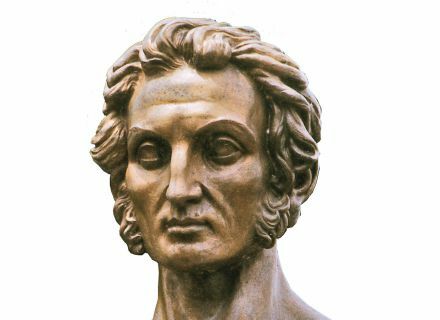 do you know that one of the sons of the soil, René Caillié, is the not Muslim European first one to enter Timbuktoo on April 20th, 1828? I quickly redraw his life and tell his exploits, in particular his journeys and adventures. Every year, we commemorate his exploit through the festival of the adventure. Mauzé is also known for its port, the biggest port of the swamp by its surface. An area of camper and the municipal campsite are situated nearby. An ideal place for the amateurs of peach! Clapperboard of the end for this day of discoveries. We hope to have given you the taste and the desire to visit and to discover this part of the Swamp from Poitou and the Plain of Courance.